I challenged us to a dance off, and we all won! Hooray! Shiny participation statuettes for everyone! During the past month, my daughter and I learned about the nation of Brazil as part of her Little Passports subscription. Learning about another big country in the Americas that struggles with both huge challenges and fantastic natural and cultural resources (favelas! rainforests! mermaid fandoms! gang wars! green cities! fusion everything!) helps me put things in perspective and stay hopeful that things will be okay for us here in the United States. So! In the spirit of Brazilian capoeira, the Afro-Brazilian martial art comprised of dance offs, my husband and daughter and I have been engaging in some emotional judo with ourselves by dancing off and laughing off our stress. I find that getting silly fights stress better than getting serious about calming down. Trying really hard to relax never works. Yelling at oneself or another person to "CTFD" sometimes works... but only if it triggers a case of the giggles. Vigorous exercise works. So we choose to dance, because dancing is vigorous physical activity that also makes us laugh, because we are awkward. I dance like a Muppet. My husband dances like a Detroit rave flashback. Our daughter dances like Elaine on Seinfeld. Together, we're unstoppable. 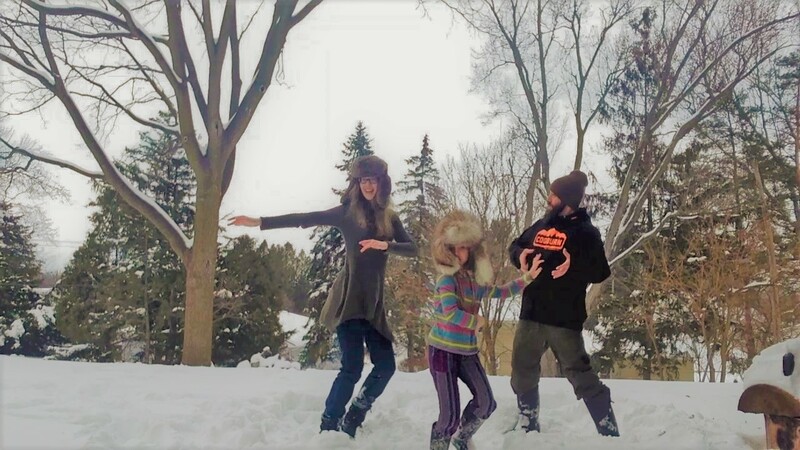 We're not coordinated enough to try learning actual capoeira, but we did take a few basic samba step lessons online and achieved our goal of doing the samba in the snow together for Carnaval. Then we went inside and watched the biggest parade of the year live-streamed from Rio (where political, social, and natural disasters are much worse than here, and look at all those people dunk themselves in glitter and shake their five-foot tail feathers). 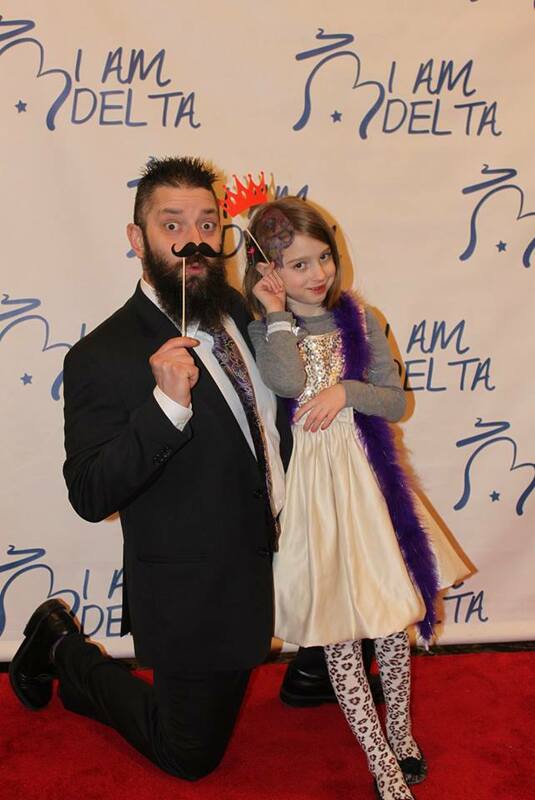 Then my husband and daughter went to this year's Daddy Daughter Dance, the one put on by our township, which is picturesque, truly diverse, rich in beautiful parks, low in violent crime, and currently a dream to drive through, thanks to last summer's intense infrastructure upgrades. Then I took my daughter to a Hollywood-themed ball put on by her elementary school and PTO. We had a lovely time, thanks to the school staff and volunteers who value fun, warm community-building events, safety, and quality education for all of the children--most of whom receive lunch assistance, none of whom are part of a racial majority, and all of whom are being offered an evidence-based and age-appropriate sexual education curriculum this year. Yes, a lot of things are going well despite the disasters. I got a raise at work, where the crazy people are the nice kind of crazy people and the song "Let It Be a Dance" is popular. Everyone in my family is well, including the kitten, who has learned to play fetch and do back flips. I'm reading some books that are so good they sting my chakras, including my current library selections: Young Jane Young by Gabrielle Zevin and My Absolute Darling by Gabriel Tallent. I haven't finished the latter. The former was easy and fun to read, though deceptively brilliant. The latter is, as reviewer Michael Schaub put it, "hard to read, harder to put down." I'm keeping up with my goal of adding at least 2,000 words per week to my draft of Matka Danu Miklagarth, which is now over 62,000 words long. Yes, I started researching ideas for my next book two years ago when I read about Vikings, Varangians, and vaginas. Yes, 2,000 words is a puny goal for a whole week. But slow and steady writes the book, especially when you're a mothering dayjobber and volunteer and wife and friend and cat person and snow dancer and chronic sad buddha about other people's suffering. The silly dancing helps, so my family and I are going to keep it up. For the month of March, we've shifted to headbanging to BabyMetal and bopping to J-pop.